Not only German, British and Polish carriers have difficulties finding employees. Spanish transport industry faces a similar problem. Is this a matter of lack of people with appropriate licenses or bad employment conditions? According to data from the General Directorate of Road Traffic in Spain (DGT), in 2017, approximately 253 thousand drivers had a driving license category C and C + E. Almost 32 thousand of them were aged 60-64, 40 thousand belonged to the 55-59 age group, and approx. 42 thousand were between 50-54 years old. A total of 70 percent of drivers were people over 50 years of age. Demography, therefore, works to the disadvantage of the industry. Due to the lack of willing young people or inadequate working conditions, Spanish carriers have more and more problems filling the vacancies. The problems of Spanish carriers have been present for a long time: mandatory redirects to toll roads, fuel prices, 44-ton trucks, road Alliance,” says Carmelo González, president of the National Road Transport Committee (CNTC) in an interview with the magazine „Todotransporte”. However, the most serious problem of the transport industry in Spain is, according to the head of CNTC, the alarming lack of lorry drivers. González emphasizes at the same time that the shortage of the staff in the industry is not only due to low wages, but also the risk that working behind the wheel carries and limited opportunities to reconcile family and professional life. The first thing the candidates ask is not the salary but the working conditions. They want to be home almost every night,” adds the Spaniard. González’s words are confirmed by Fernando Viñas, secretary general of the Transport Federation in Zaragoza (Fetraz). It is difficult to find drivers for longer routes that require accommodation outside of home. People prefer to earn less to reconcile work and family life, says Viñas. 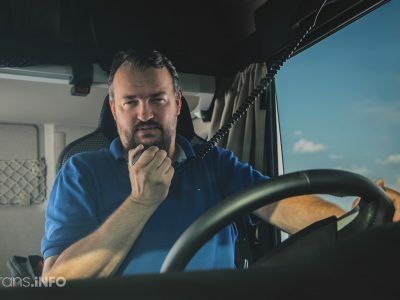 According to data provided by Fetraz, the gross annual salary of a truck driver from Zaragoza is approximately 20.1 thousand euro annually, and with the allowances, it exceeds 30 thousand euro. Additional hours and availability increase the remuneration by another 4-5 thousand euro. The head of the CNTC admits that due to the lack of truckers, part of the Spanish fleet is standing. 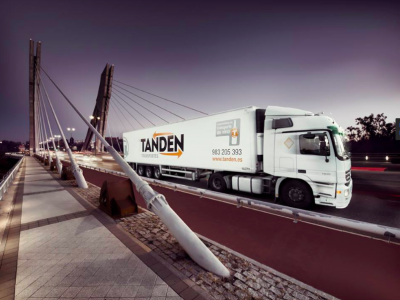 It is difficult to assess the exact percentage because companies are reluctant to reveal how many trucks are left unused. However, the numbers are increasing. There are transports that companies do not carry out, or realize with delays due to lack of staff. 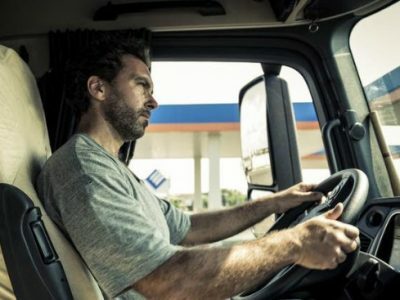 This , in turn, is a cause for concern not only for carriers, but also for shippers, and at the same time an incentive for them to search for a solution for this problem together,” he adds. How to fight the lack of drivers? The solution is in the hands of all of us. Loaders must be made aware that a truck is not a warehouse on wheels and that they should take care of suitable places where drivers can wait for loading or unloading. Initiatives are needed to make the profession attractive and encourage young people to acquire qualifications”, says González. In Spain, entrepreneurs try to look for drivers from abroad, eg from Senegal, although they do not know Spanish. According to the head of the CNTC, we should think about cooperation agreements with countries such as Argentina and Venezuela, whose economic situation is difficult. In this way, the problem of a language barrier could be eliminated. Carriers from Spain are looking for ways to attract employees. For example, companies from the autonomous community of Aragonia are looking for a truck driver via the government employment agency (INAEM). It would not be surprising if it were not for the fact that candidates do not have to be qualified to drive lorries. The only condition to be met is to conclude an agreement with the employer and carry out international transport for it. In return, the company bears the costs of acquiring the relevant qualifications. The candidate will only have to pay for the exams (about 100 euros). Therefore, the entrepreneurs agreed to pay future employees the costs they incurred to acquire qualifications to work in the profession. Depending on previous entitlements, they range from 400 to 1.8 thousand euro. Employers will reimburse the employees for 100 euro a month, which will be paid as an allowance. 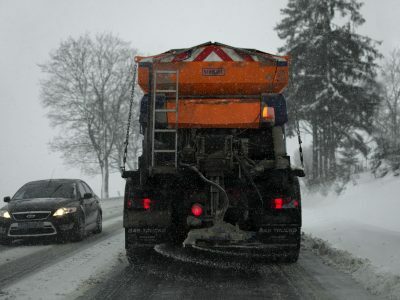 However, if the driver leaves his job before he receives the full amount spent on the training, the remaining part of the money will be forfeited. During the last meeting of the European Union of Road Transport (UETR), the issue of the lack of drivers in Spain was raised. According to the organization, there is a shortage of 13,000 truckers in Spain. It is amazing, however, that there are over 22 thousand people entitled to drive vehicles that are looking for a job in the National Labor Office register. According to UETR the reasons for this state of affairs is a low attractiveness of the profession, insecurity, and low wages. In this regard, UETR calls on European and national institutions to take action to remedy the deteriorating situation of the industry. Otherwise, it will adversely affect the functioning of other sectors of the EU economy.